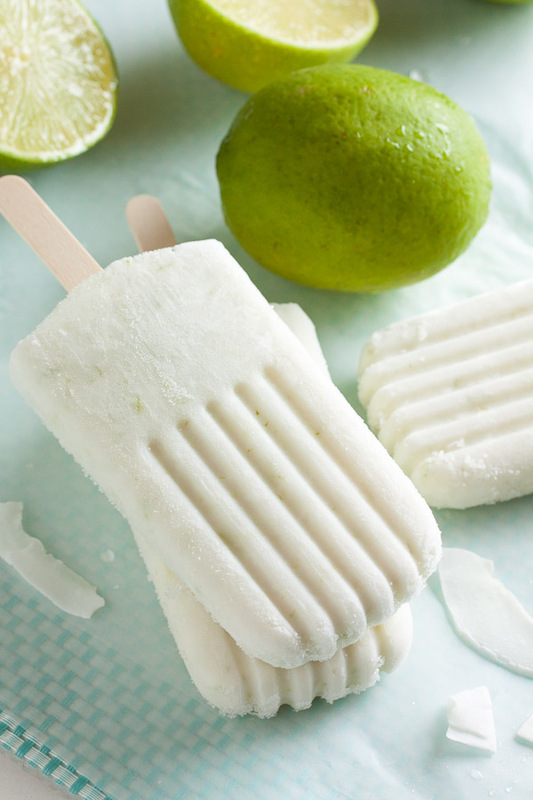 Coconut Lime Popsicles | wanna come with? I don’t know what the weather is like where you are, but it’s unseasonably warm here in Vancouver, and it’s feeling like popsicle season. Last year I don’t think I even started making popsicles until late July! 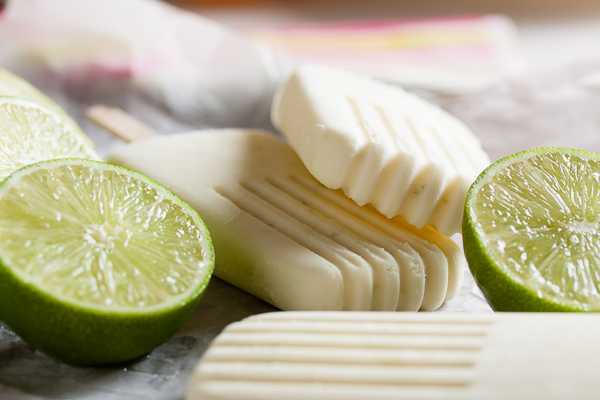 I made a couple of different lime popsicles last summer – both of which were fantastic – and you can definitely expect to see more lime this year. I may have mentioned before, but I loooove citrus any time of year, but especially now. It’s such a refreshing summer flavour, right? One thing to keep in mind when making popsicles is that much of the sweetness is lost after freezing. So taste your mixture before popping it in the freezer. As sweet as it is before freezing? It will taste less sweet after. The original recipe for these popsicles called for only 1/4 cup of sugar, and when I tasted the mixture, it was great, but not particularly sweet. So I added another 1/4 cup. Then it tasted too sweet, but I knew from experience that it would be fine. And I was right. After freezing, they tasted perfect. 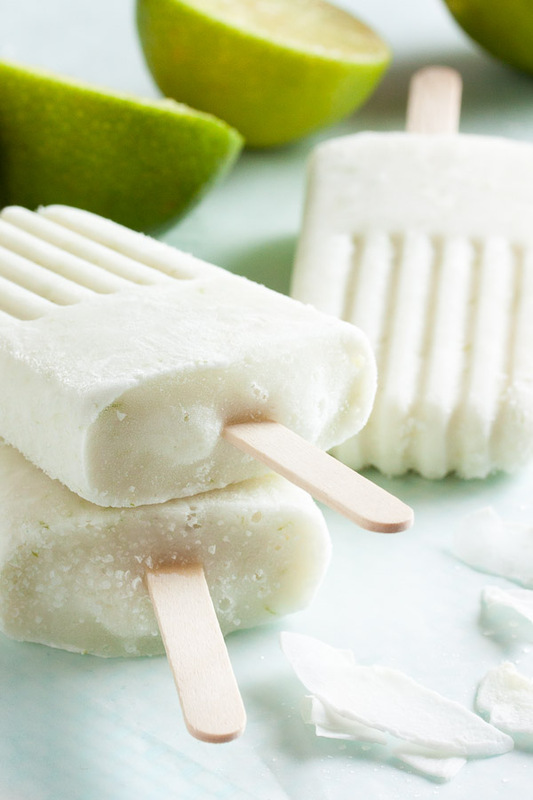 These popsicles are creamy and decadent, but still light and refreshing for a hot summer day. 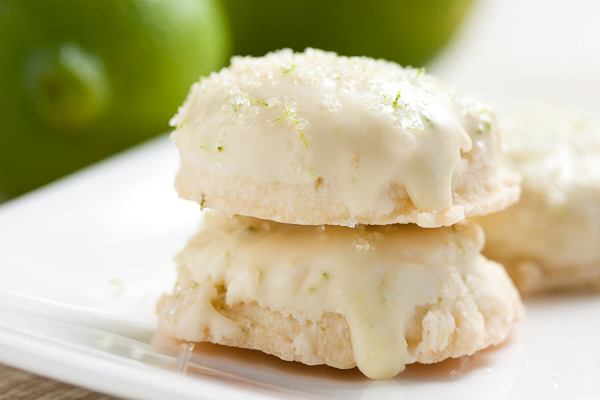 The primary flavour is coconut, but you can definitely taste the lime too. And the sweetness is just right for a popsicle. This one is going on my regular summer rotation. Definitely. 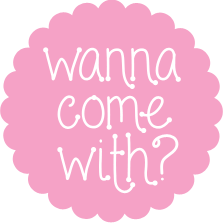 Adapted from The Corner Kitchen Blog. Combine the coconut milk, milk, and sugar in a small saucepan. Whisk together over medium heat until the sugar is dissolved, about 3 or 4 minutes. 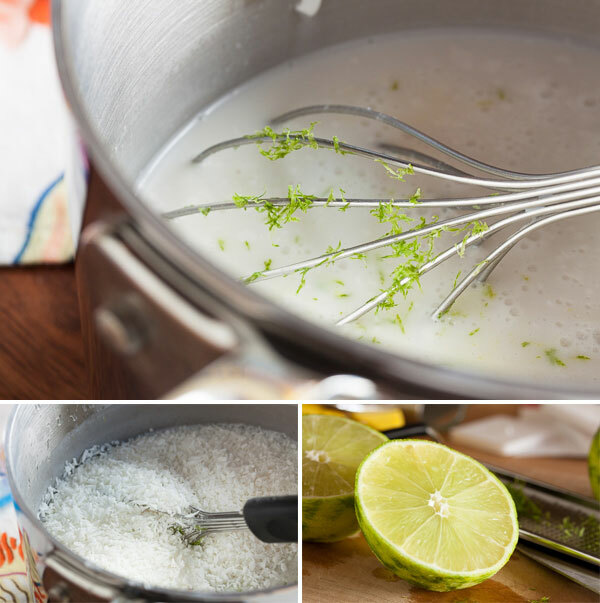 Whisk in the lime zest, juice, and the shredded coconut. 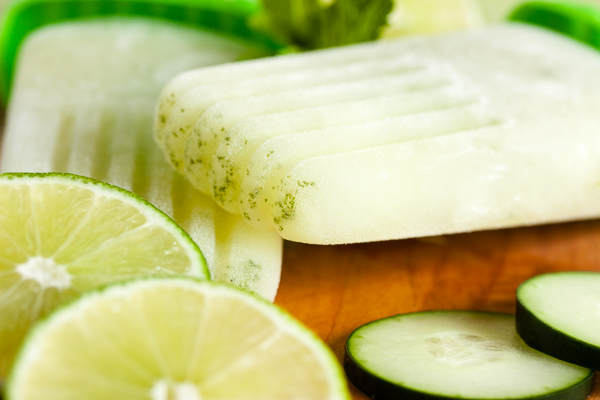 Pour the mixture into your popsicle moulds and allow to freeze at least 5 hours. Enjoy!